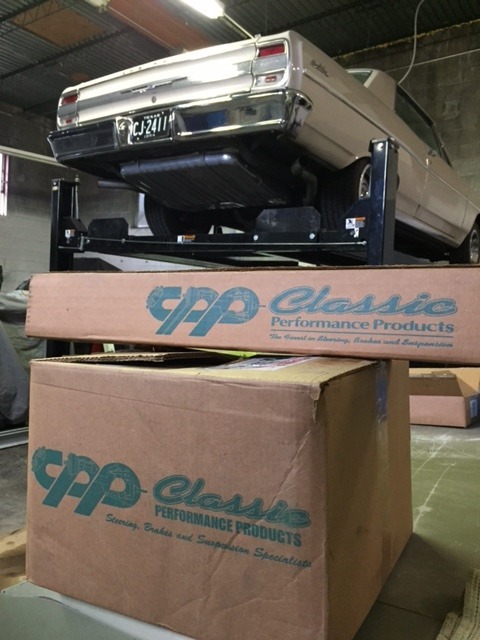 We’re installing a new low pressure Holley Red Pump on our ‘69 Dart to feed the carbureted late model 5.7L Hemi. We were having trouble with the modified sending unit and it’s return line leaking so this seemed like the right move. 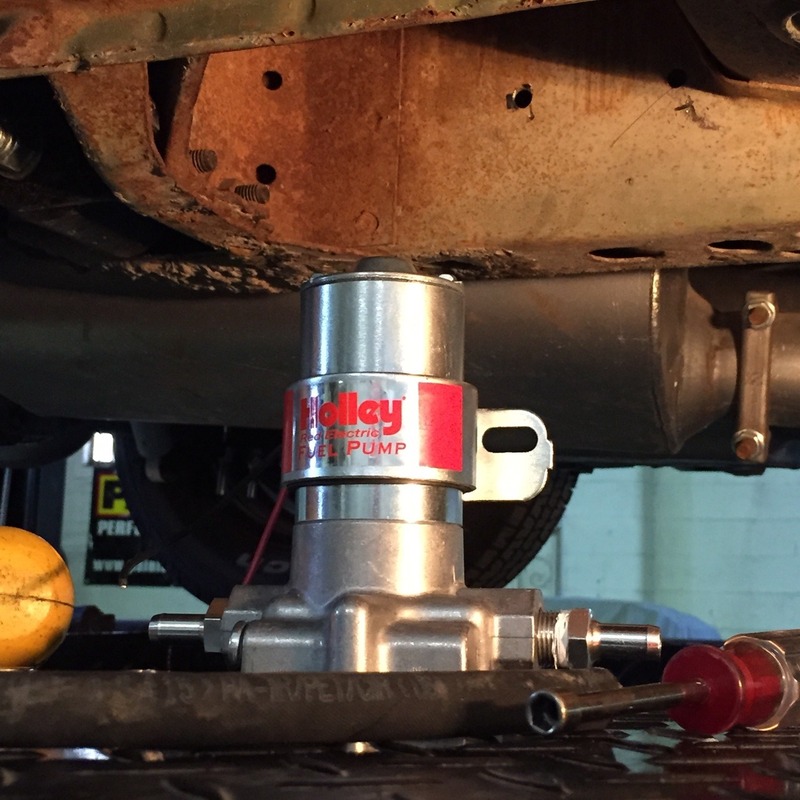 This Holley pump should allow us to run a deadhead line and be good to go! It’s important to mount the pump lower than the sending unit because gravity helps feed the fuel to the pump - it’s made more to push than to pull remember. The cool thing is Dodge put a handy little pocket right in front of the passenger side leaf spring hanger to mount the unit. I’ll tell you what happened; the MPMC Media Trade Conference, an HRIA long range planning meeting and the Grand National Roadster show! The Media Trade Conference is hands down the best place for media members meet with manufacturers. You have a 30-minute meeting to get the scoop on new products, tech details and to bounce around editorial stories. It’s three full days of meetings, but it’s well worth the time. 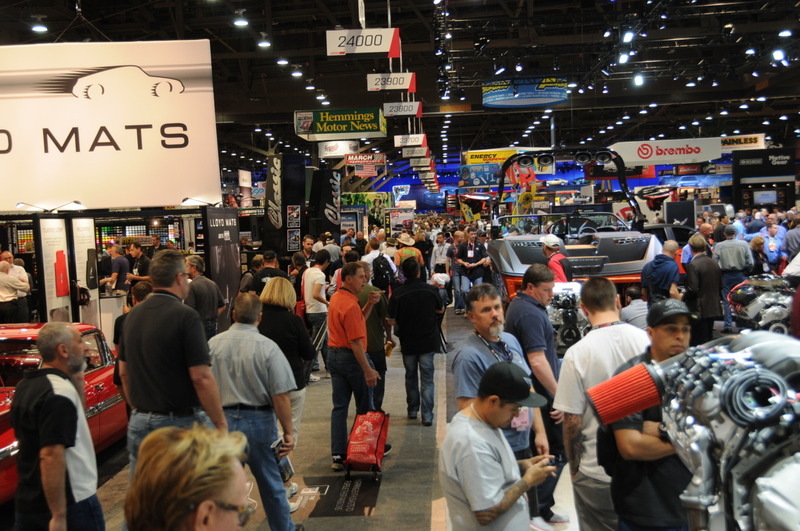 Next up was a long range meeting for the select committee of the Hot Rod Industry Alliance. There are some great things in the work to help our industry and hobbyist. One event right around the corner is Education Day at the Detroit Autorama (Friday, March 6th)! Lastly was the 66th Grand National Roadster Show in Pomona, California. 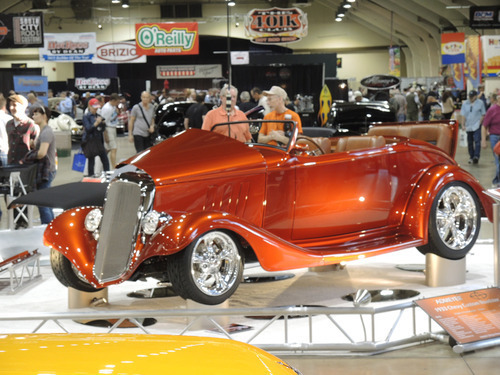 Awesome heritage, killer rods and customs, and just a great show.